Growing up Thanksgiving was my favorite holiday. A time for adults and kids to gather around the table, enjoy each others company and eat well. One of my favorite Thanksgiving memories is my Dad and his two brothers, Freddy and Bob cooking the Thanksgiving meal while the women visited and the kids played. Every few years they’d make the decree ‘this year the boys are cooking’. I still remember the smell of the turkey wafting from the kitchen filling the house with anticipation. The last Thanksgiving the three brothers were together was 2000. I remember working with several cousins alongside Bob, Freddy and Norman. The location was a rented Masonic hall kitchen. In the main room approx. 50 family members gathered. Then living in Oregon, my daughter Katelyn age 7 had travelled with me to spend this holiday with her east coast family. It was a special time to celebrate the ties that bind us one to the other. Stories were told, great food enjoyed, jokes cracked and board games played. By the next Thanksgiving both Norman and Freddy had passed away. While that Thanksgiving was 17 years ago it remains one of my favorite memories. Thanksgiving is an opportunity for memories to be made. The common element in each gathering large or small, is the choice to be grateful. It has been said that the antidote to unhappiness in life is the choice to be grateful. Science tells us that the regular practice of being grateful improves one’s health both physiologically and emotionally. Being grateful lowers your blood pressure and elicits dopamine, the pleasure sensor in one’s brain. When we choose to practice an attitude of gratitude we simply become happier. Surely there’s a lot of pain and cause for worry in the world. Yet, there’s also much to be grateful for. How good and pleasant it is when brothers and sisters dwell together in unity. 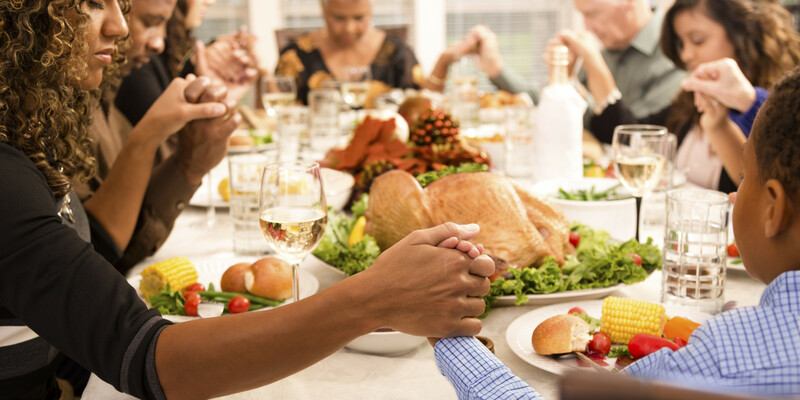 Thanksgiving reminds us to pause, break bread with family, friends (longtime and new) and take a moment and say ‘thanks’. The 14th century monk and mystic, Meister Eckhart said: “If the only prayer we ever offer is thank you, that would be enough”. And to that I say ‘amen’.